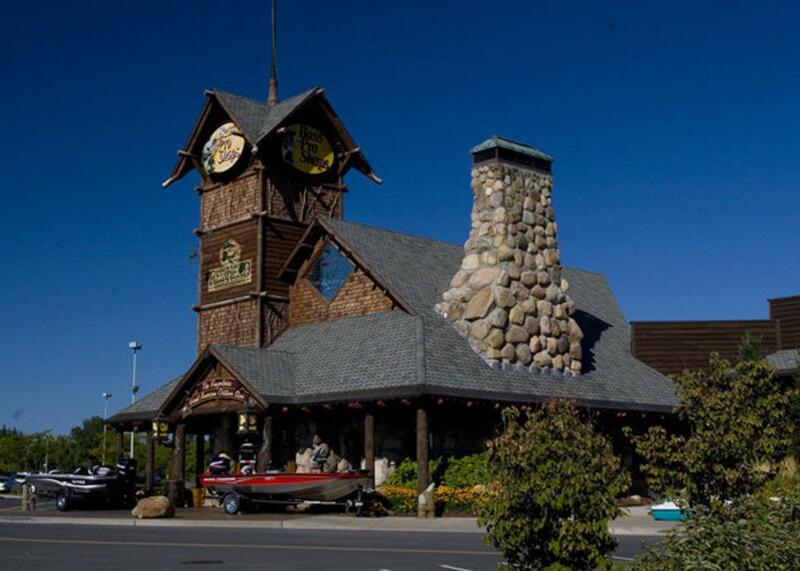 Featuring an Adirondack lodge-style architecture-complete with waterfall, rustic wildlife displays, and huge aquarium stocked with trophy fish-offers a breathtaking backdrop to the state's biggest selection of fishing, hunting, camping, and boating gear. Elements such as whole, split, peeled logs, bark, roots, and burls, along with native granite fieldstone, were used to build interior and exterior components. A massive fireplace and chimney built of cut stone are also great attributes to their structure within the Adirondack style architecture. 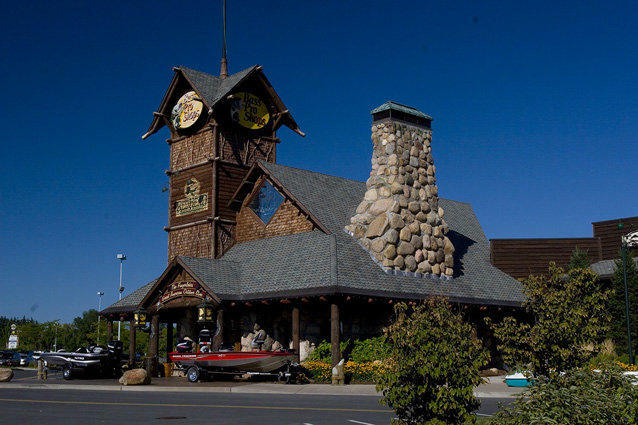 The use of native building materials promotes a natural atmosphere here in their 85,000 square foot store! 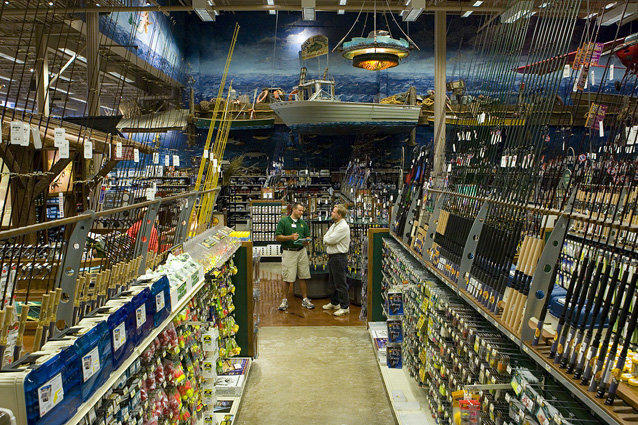 Bass Pro Shops is more than just hunting and fishing, we carry a large assortment of men’s and women’s clothing for every season such as Redhead, Natural Reflections, Carhartt, North Face, Columbia and Timberland, as well as gift items located in our Gifts and Nature department! Bird feeders, bird seed, weather stations, bedding, candles and more! Find just the right gift for any special occasion! 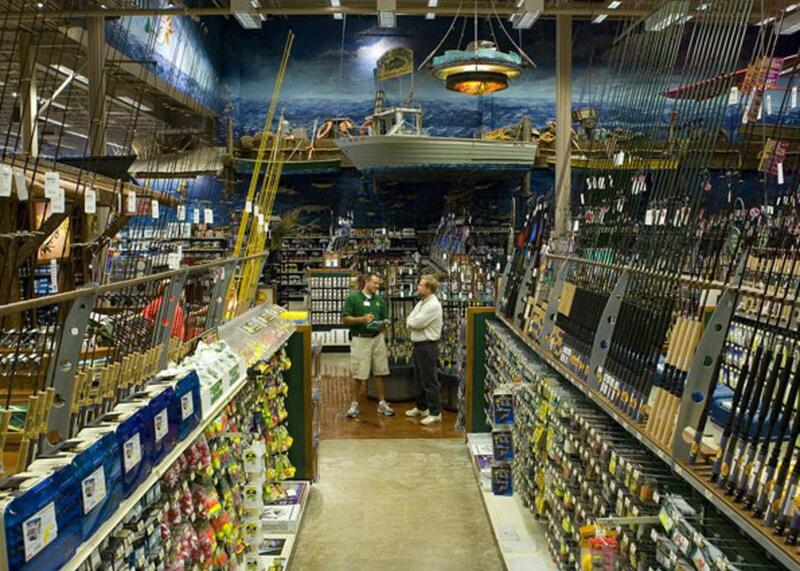 Browse through the expansive TRACKER Indoor Boat Showroom and check out our hunting, fishing and camping gear! Bring the family and spend the day. It'll be an unforgettable outdoor adventure! Every Tuesday, Thursday and Saturday at Noon, catch their “Fish Feeding Frenzy” down at their 22,000 gallon fresh water fish tank! Watch the fish go crazy for live minnows, crawfish, worms, food gel and fish pellets! The kids can join in on the fun by assisting our biologist with feeding! 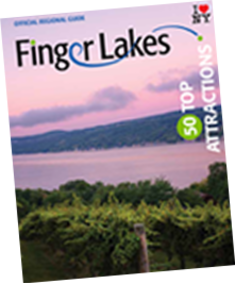 Learn about over 15 different species of fresh water fish native to New York State lakes and waterways! This is one activity you will want to “catch” more than once!